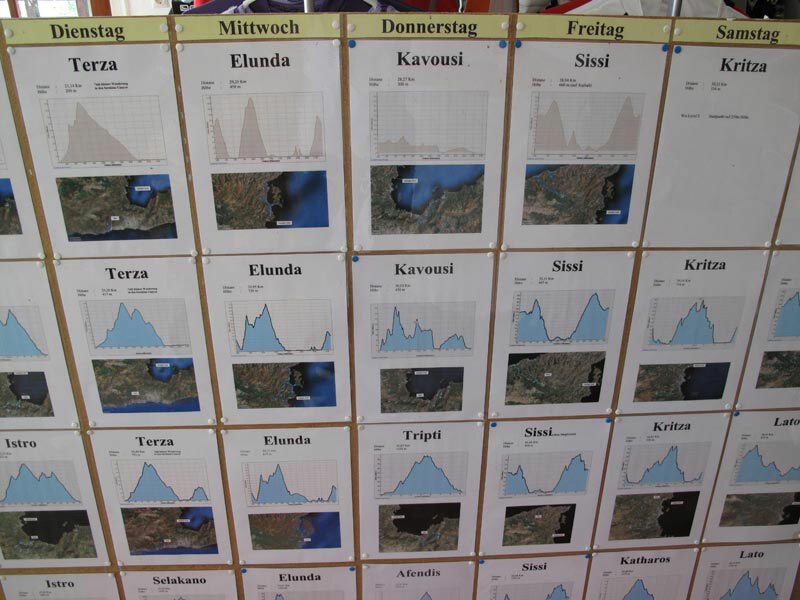 At the front desk is a clear table with all the tour profiles and maps. Daily (also Saturdays and Sundays) 2 - 4 different tour levels are driven. Each guest can decide on the evening before for the tour which best suits him on kilos and heights. The different levels usually meet at midday or swim in beautiful bays. If the one chooses a stronger level than his partner / in or colleague, one is usually not separated all day but meets on the way and has thus a different holiday day in spite of different skills. You can change the level. The one have good persevering condition, one can thus Zb. also level blue, black with the more demanding altitude meter for the uphill routes - for downhill you can then change for the easier descents to level green ... Or you have not so the sporty condition for the uphill ride - you can so the altitude of Level green - downhill then the challenging trails drive from level blue or even level black. 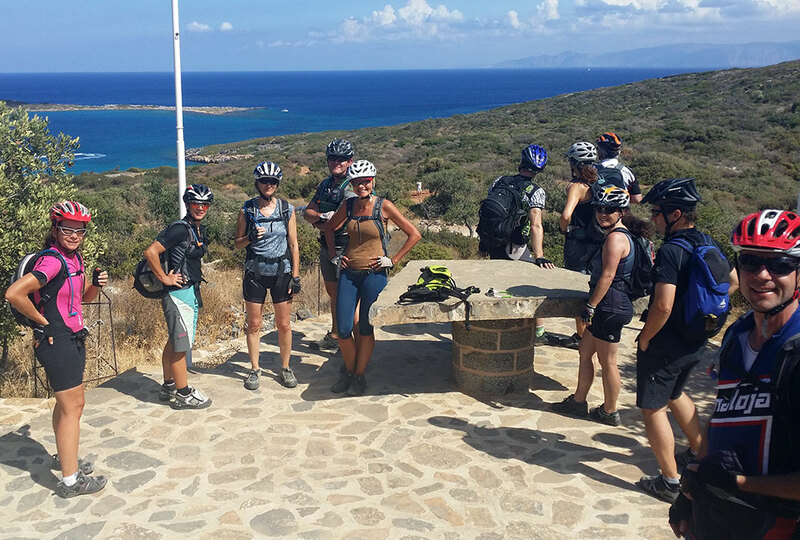 Light mountain bike tours. Wonderful light trails to enjoy in the olive groves and gardens in the flat terrain. But also on easy dirt roads and dirt roads. In order to avoid difficult terrain, we also use asphalt roads. We enjoy many stops at wonderful viewpoints and also a lot of time for swimming in secluded bays. 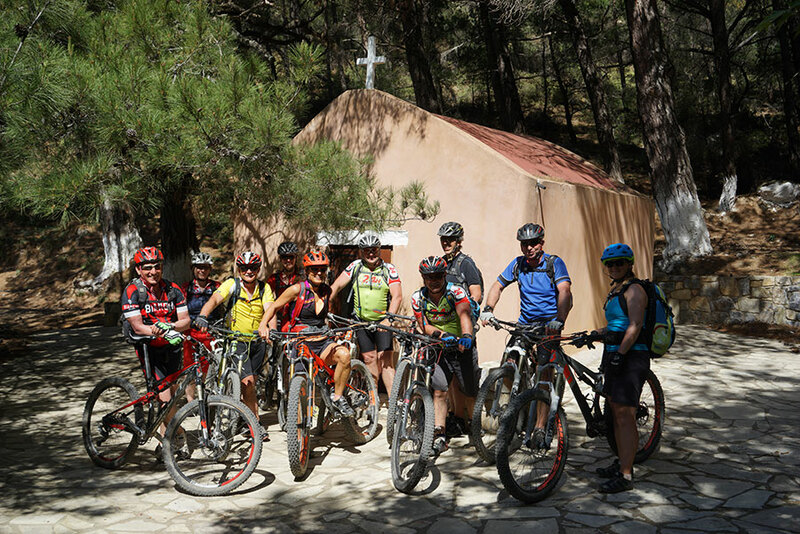 Mountain bike tours for pleasure bikers. Beautiful singletrails in the flat terrain, otherwise much easier on gravel and dust paths and natural roads. Sometimes sometimes even on challenging gravel roads. But you have a lot of time and can also walk a difficult short passage on foot. We enjoy many stops at wonderful viewpoints and also a lot of time for swimming in secluded bays. Demanding tours for sports bikers. The climbs are predominantly made of gravel and dust. Some of the slopes are also with coarser gravel. 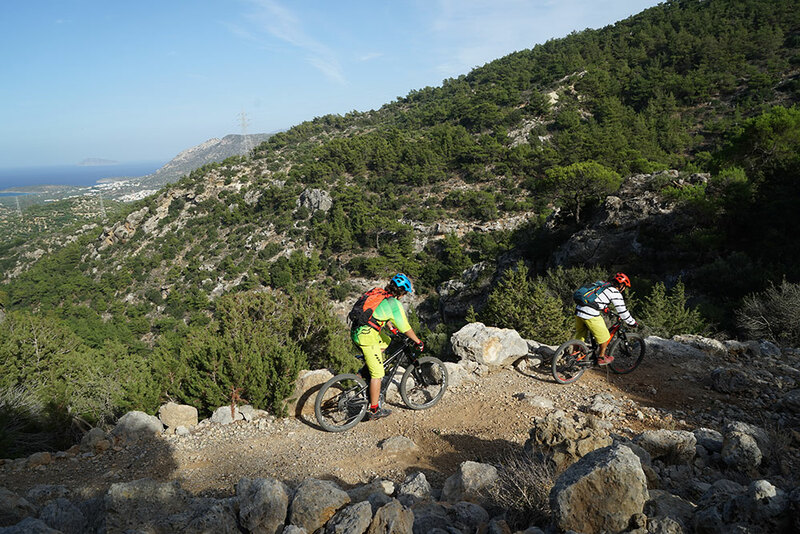 Downhill we have dreamlike beautiful singletrails - a lot of beautiful flowtrails but partly also demanding trails - because on Crete the ground is quite dry and dusty but also slippery. Our highest level! Long climbs on rough roads, downhills, we take the most tricky and longest trails whenever possible. Very good body condition and very good driving technique required! Of course possible ZB. 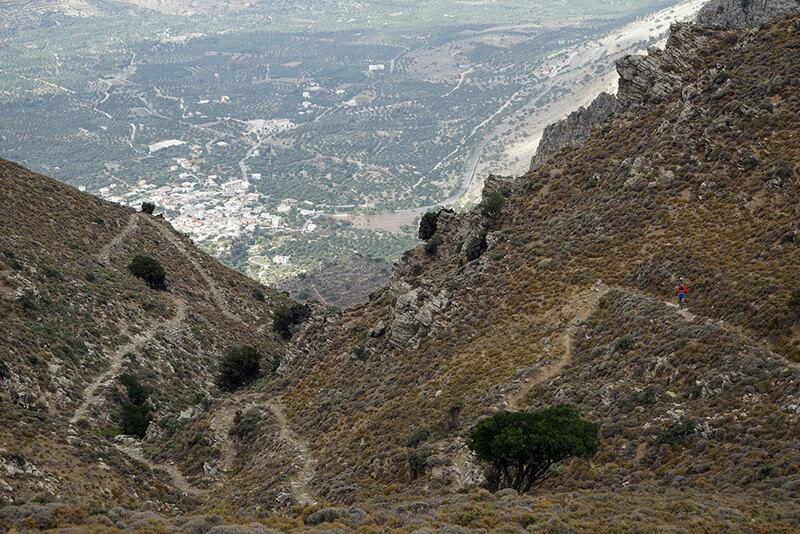 Level blue ascents and then enjoy the most challenging trails downhill. ZB. as our MEGATRAIL here in the video ... with 1000 hm uphill --- 1000 depth meters with the mega trail.